The Courses are finely refined and fabricated to meet the needs of the versatile industry and latest research areas. The highly qualified, intellectual and technically proficient faculty at SREC fuel the learning process in turn igniting the minds. The industry is always in need of highly skilled fresh talent and this need is addressed by SREC comprehensive and long term approach to education with highly charged and professional atmosphere. The students are not only given academic exposure in every way possible but are also encouraged in growing as morally strong individuals adorned with well groomed personality. The rigorous learning process at SREC is based on the current market needs and research areas which in turn enable students to take up diverse roles in the industry with enthusiasm. SREC has hence contributed to the industry by successfully delivering fresh recruits who have contributed continuously to the growth of the industry by being a part of the top-notch organizations. For all these reasons SREC has been a preferred institute for recruiting young minds. 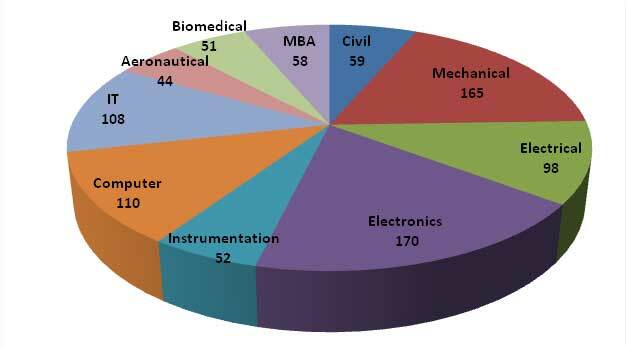 Research at the institute falls into several contemporary areas of Information and Communication Science and Engineering (Nanotechnology, Composite Material, Embedded Systems, Internet of Things, Mobile ad-hoc and sensor networks, digital signal & image processing, machine intelligence, embedded systems, and biomedical). To support research and development, a full range of required infrastructure has been established, including well-equipped laboratories, specialized equipment, campus wide networking, high - speed internet access and subscription to hundreds of print and online journals. An important aim of the research and development activities is to stimulate and enhance the research ability and potential of students who have the interest and aptitude to carry out innovative research.